The Martin, Harding & Mazzotti, LLP app can provide assistance if you’ve been involved in an accident. 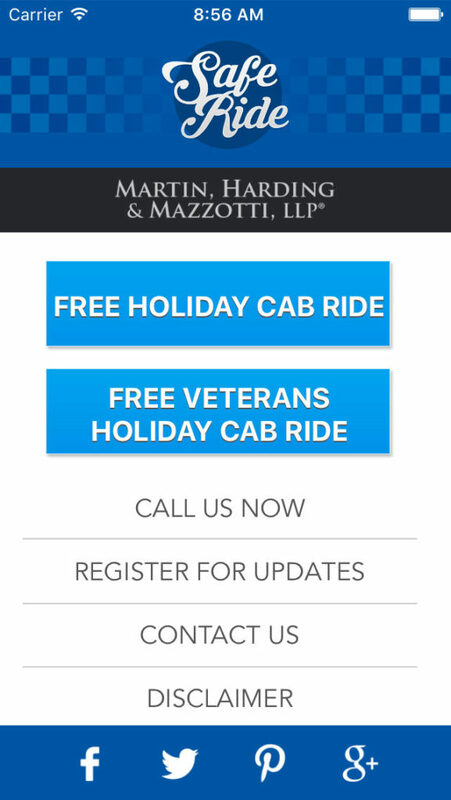 Martin, Harding & Mazzotti, LLP are proud to offer you our holiday safe driving program. Your safety is our top priority. So if you have been drinking and are under the weather, don’t drive. 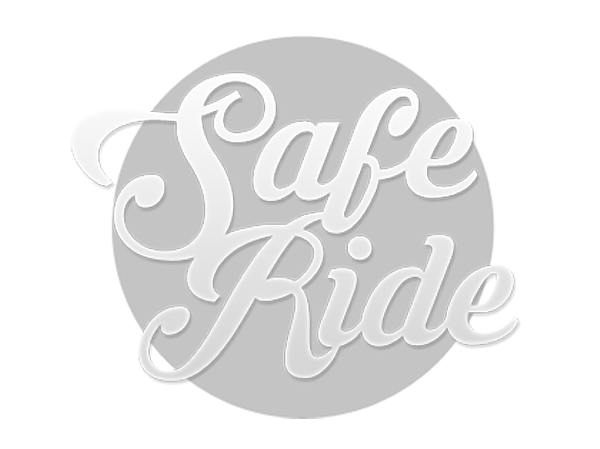 We are pleased to be able to offer you a free taxi ride home on certain holidays and special occasions. 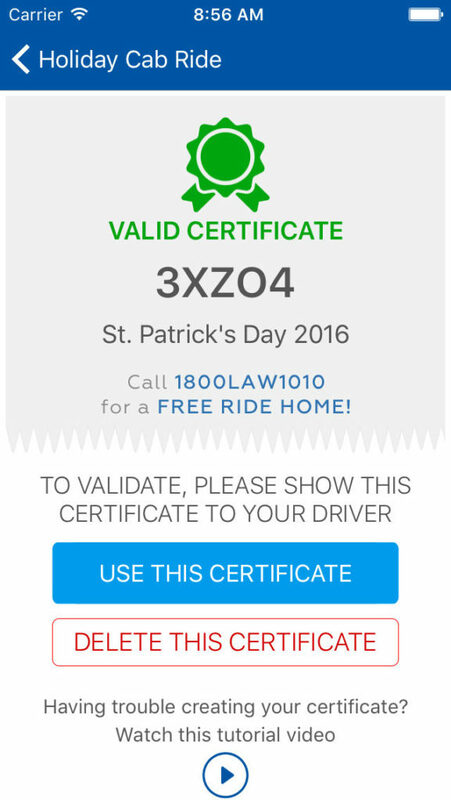 Using our Free Taxi Certificate Program is extremely easy. 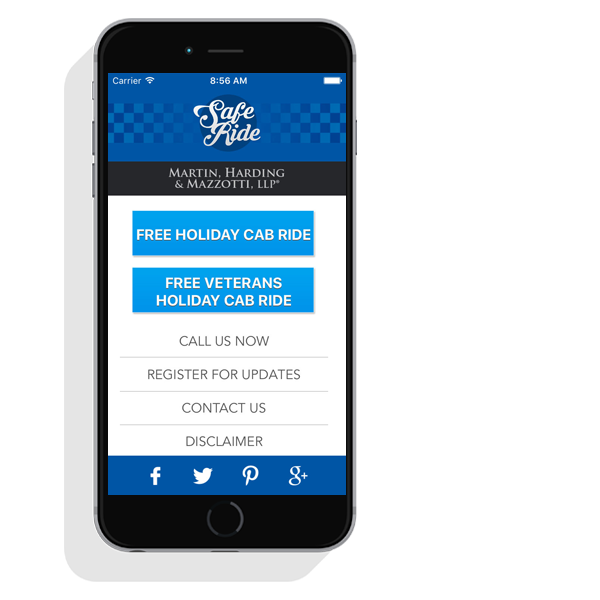 Step 3: On the Holiday, use our app to call our office and order your Taxi ride. 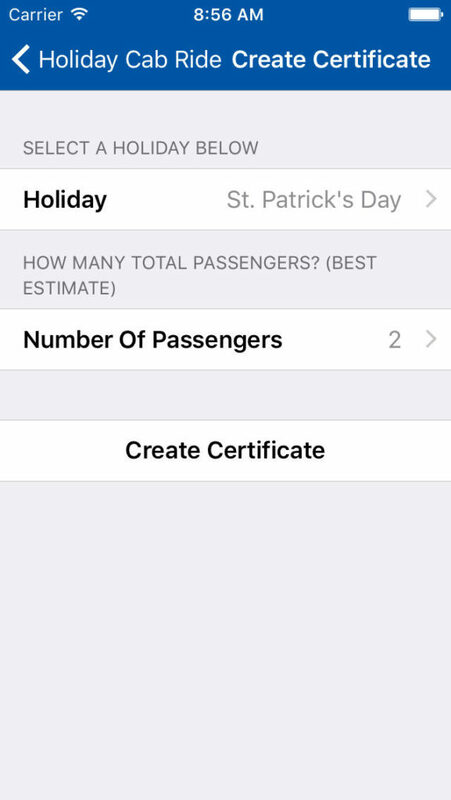 Step 4: Let the driver know you will be using a Free Taxi Certificate. 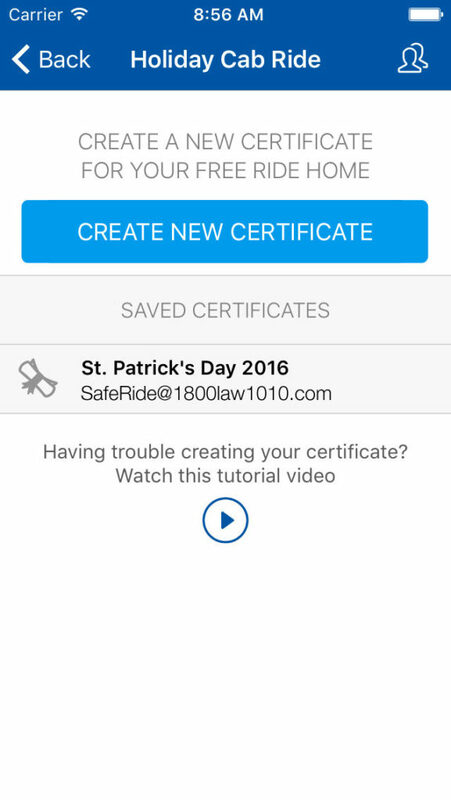 Step 5: Show them your valid certificate from our app. 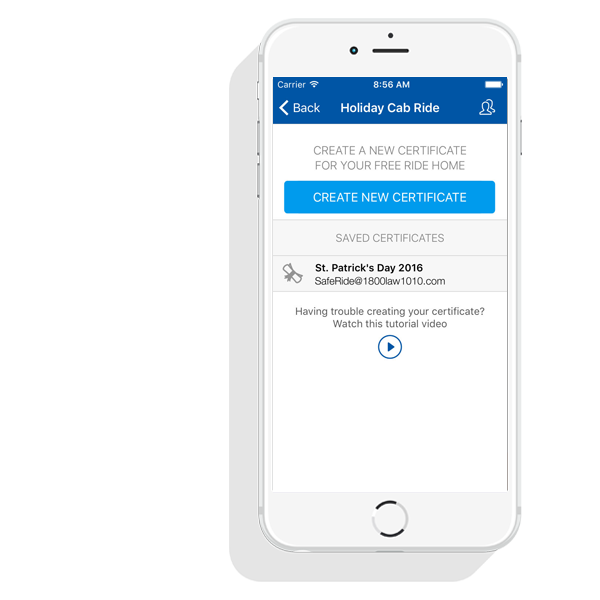 Step 6: Once they approve the validity of the certificate, they will ask you to select “Use This Certificate” and to confirm its use. Step 7: Enjoy your free taxi ride.